When it comes to choosing the best compact elliptical, there are many options out there for you. There are small, inexpensive, entry-level machines and higher end trainers that feature a space-saving design. 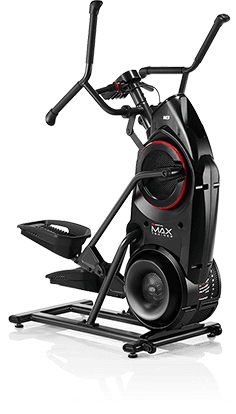 There are also ones that may take up a little more room than the smaller ellipticals, yet fold up after use for easy portability and storage. So the first consideration is deciding what type of compact elliptical you are looking for. Do you want something very basic, for light usage, or do you want a higher quality machine that you can use every day or several times a week? Making this determination first will be very helpful for you. We'll cover all types here and help you choose the very best one for your home. Most cheap ellipticals, i.e. those that are $500 or less, tend to be more compact than their more expensive counterparts. So chances are if you are looking for a very inexpensive model, it will be small enough to fit into your home gym. Following are three great choices for you. Most of the offerings from these three top brands will feature a space saver design. 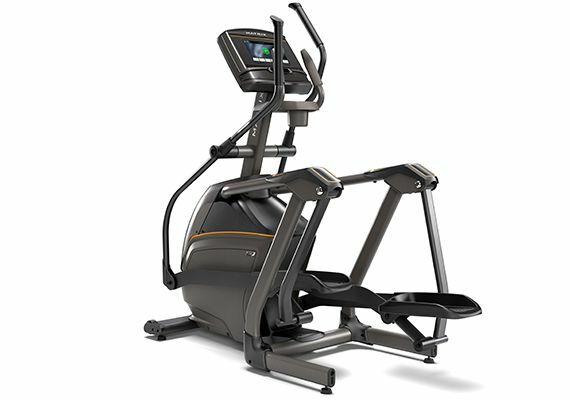 The mid-range compact ellipticals, in the $1000-$1,500 price range, still give you that space-saving design but are much better quality with more features and capability. Here you have brands like NordicTrack, Horizon and Bowflex. These are a little larger than the cheap ellipticals, but still smaller than the typical machine. The NordicTrack and Evolve can be moved easily...the Bowflex M3 is more compact than any of the other choices. There aren't a lot of choices when it comes to high end compact ellipticals, but there are some really great ones if space is a major concern. Here we have Matrix, Life Fitness and TRUE, all with commercial quality space friendly footprints. How Did We Choose Our Best Compact Ellipticals? 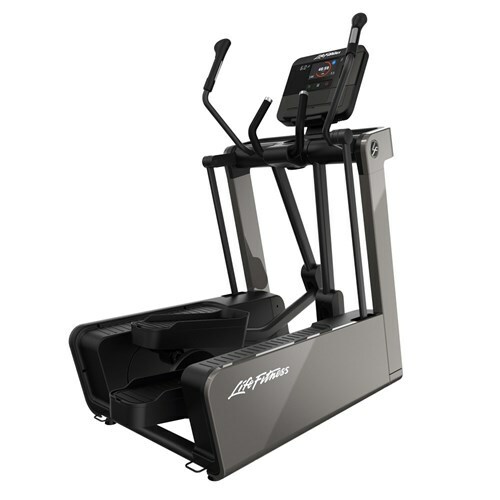 Our experts use the same criteria to evaluate all of our best buy ellipticals, taking into account price, build, workouts, value, user reviews, warranty, features, capabilities and various other important aspects. The models above meet or exceed all of our standards, and will definitely serve you well in your home gym. All you need to do is figure out what your budget is, and choose from the top three in each category. 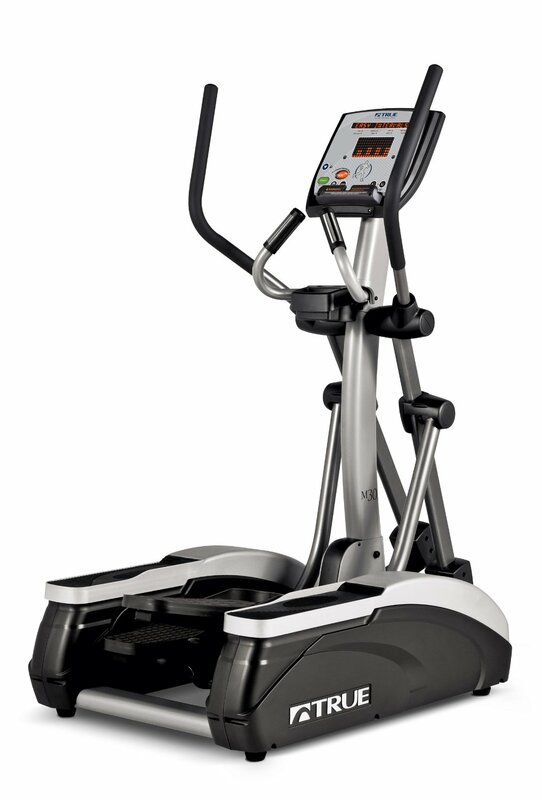 All of these ellipticals are going to be shorter and in some cases narrower than other machines on the market. Most of the cheap and mid priced models are also foldable, so you can store them away after a workout to free up some floor space. The most compact ellipticals are always going to be center or side drive models, where the flywheel is located centrally rather than in the back or in the front. 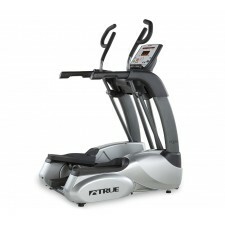 Those models, like the Life Fitness FS4 and all of the TRUE ellipticals, are about 50" long, which is about 20-25" shorter than some of the rear drive ellipticals, which tend to be the longest. The exception to this rule is the cheap rear drive ellipticals, which are very compact in spite of having the flywheel in the back. Most of the time, rear drive ellipticals, like you find at your health club, take up the most room of all. Another exception is the Matrix E30 on our list, as it is front drive but has a very compact profile at less than 58" long and 30" W, making it a great high end choice for the home gym environment. So within each price category we chose the best compact elliptical based on all of the criteria we mentioned above. There are three great options at each level, so you can definitely find the right one for you. Which Compact Elliptical Should You Choose? Your needs and your budget will be the main determining factors. 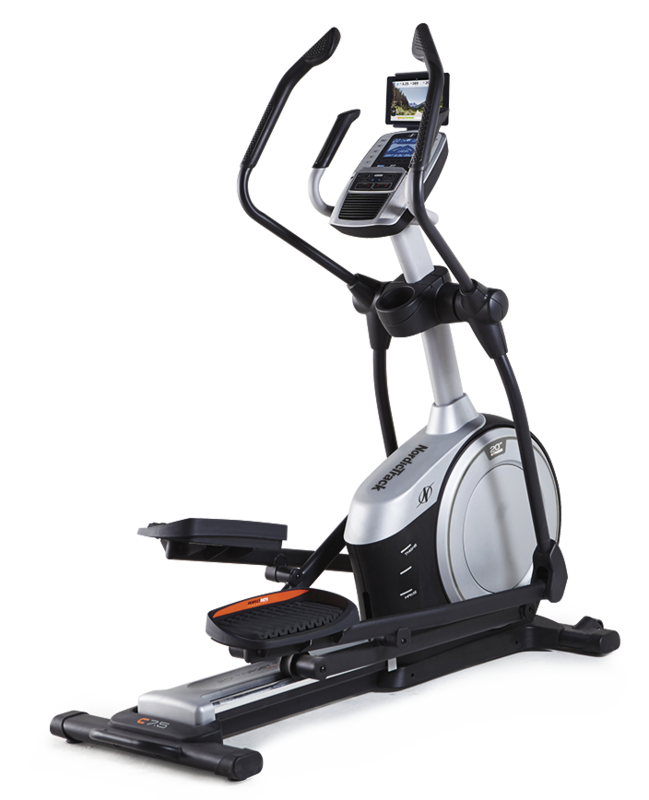 If you just want something that you can use occasionally to burn some calories and help you get into shape, you might be OK with one of the cheap ellipticals, especially if you are smaller/average size. Just keep in mind that these are entry level machines that are not meant for serious usage. Exerpeutic, Schwinn and Sunny Health make very good basic machines that people are generally pleased with. Just don't expect any bells and whistles. 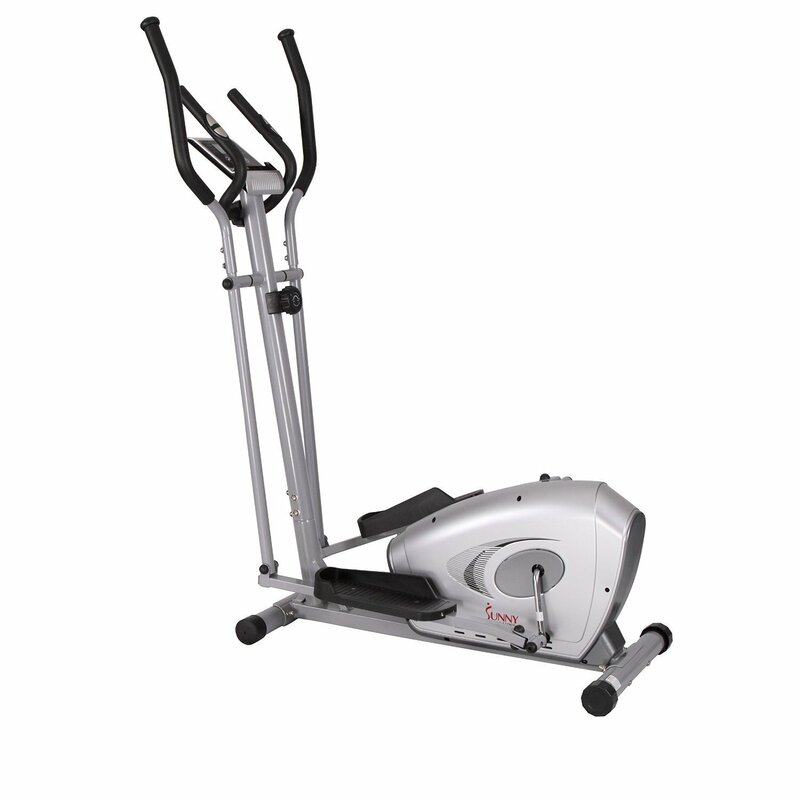 If you want a more solid compact elliptical, and/or you are on the heavier/taller side, you will want to go with one of the mid range or higher end choices. NordicTrack and Horizon offer a number of space-saving choices and the Bowflex Max Trainers are all compact in size as they are ellipticals/steppers combined. All of these mid-range options will give you a lot more features and capabilities than their cheap counterparts. If you want the best of the best, then opt for one of the commercial grade compact options from Matrix, Life Fitness or TRUE. These machines are all club quality, yet with the compact design that fits nicely into your home gym environment. 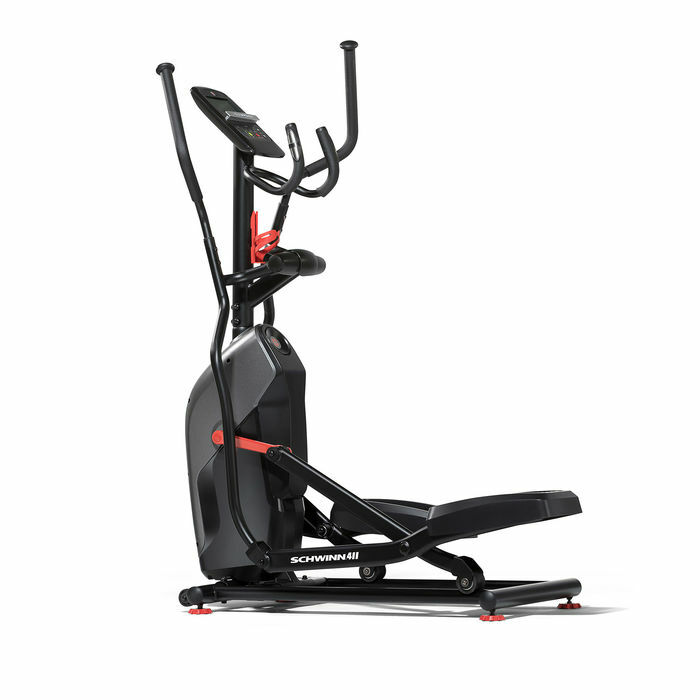 All three brands have other models that are also compact: Matrix has the E50, Life Fitness has the FS6 and the entirely TRUE lineup shares the same space-friendly design. So take a look at those as well. Remember that not all compact ellipticals are foldable. If you also need something that folds make sure the model you choose has that capability. 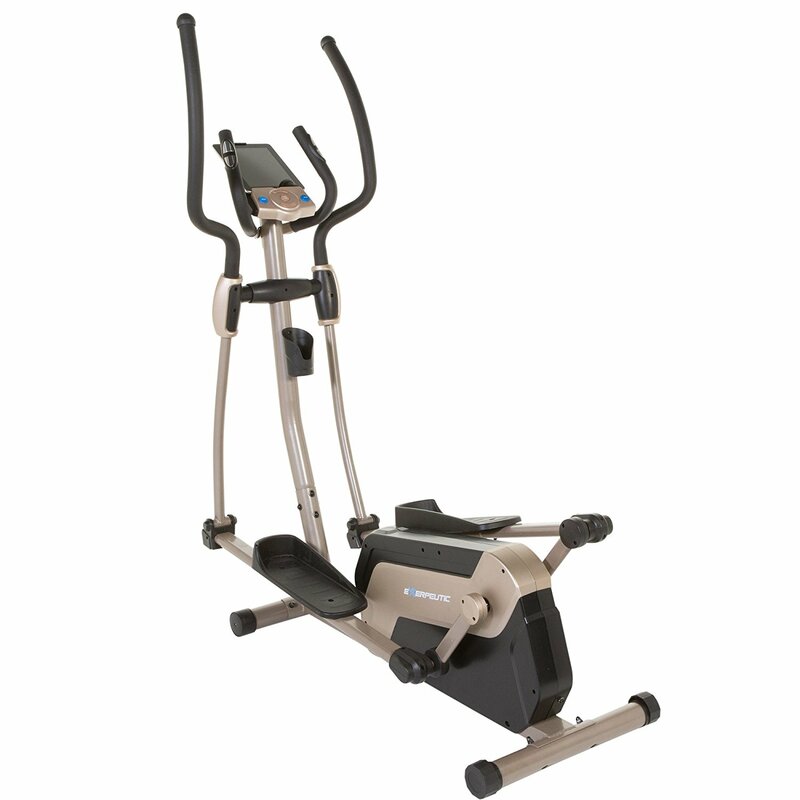 As a general rule, the commercial grade small ellipticals do not fold...some of the mid-priced models do and almost all of the cheap machines will have folding capability. If the machine doesn't fold, look for transport wheels that make them more portable in case you have to move them to a different location in your gym. At the end of the day, it comes down to choosing the elliptical that has the features and capabilities that you need at a price that you can afford. Our list of the best compact ellipticals should help you make a great decision for your home gym.